Smooth as a Babys Bottom! With the boats being so close in performance, simple preparation for the race can make the difference between winning and losing. A clean bottom is one of the easiest ways to make sure your boat is fulfilling it’s sailing potential. A session on the floating dock can get rid of the slime and growth, but to really make a difference you need to make sure the hull surface is smooth, as in imperfections and bumps need to be less than the thickness of a human hair. Brush on or rolled antifoul generally is too rough, but luckily the ablative types do tend to erode away to a smooth surface, especially if you wipe it with a sponge every time the slime builds up. 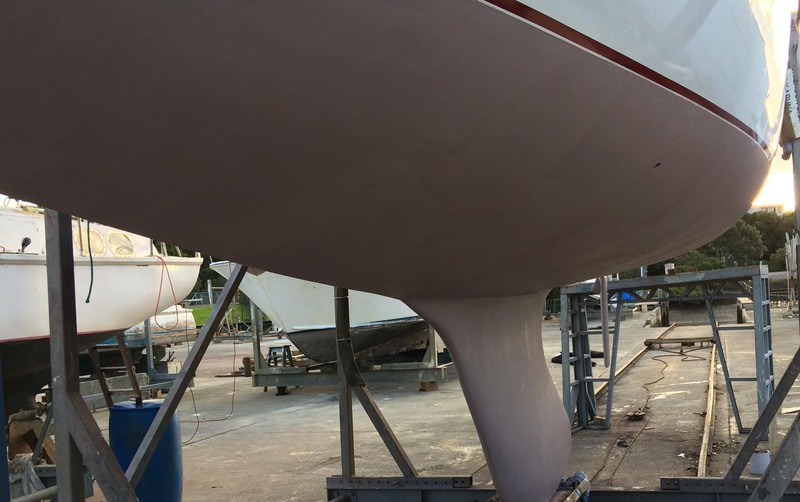 The following article has points out the importance of a smooth clean bottom, if you don’t clean your boat, as you watch the opposition sail past, you can guarantee they will have done theirs!